Without gum as issued. Our Ref Code: 1503ss045. Your item will be of similar quality to that illustrated. 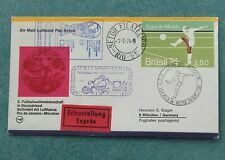 Brasilien 1998 Kleinbogen Fußball-WM Frankreich Mi.Nr. 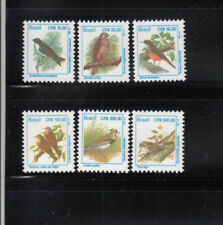 2850-73 MNH. Rest of the World International Signed For £8.00. UK 2nd Class Recorded £2.00. We have tried to call this out when we list a strip that has been folded. Delays can occur. Direct communication is always the best way to fix an issue. AND ALL POLICIES. If there is a fault we will describe it. Get Supersized Images & Free Image Hosting. 如果找到便宜？讓我們知道！. LAISSEZ NOUS SAVOIR! Stanley Gibbons No. : MS1501. Scott No. : 1351. No Exclusions. Quality Used. Topic SOCCER. UPC Does not apply. 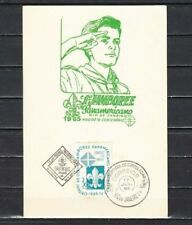 Type Cover. Brésil. 1982. Coupe Du Monde de Football Miniature Feuille Sg : Ms1946. Coupe Du Monde de Football Miniature Feuille Sg : Ms1946. world Cup Football bloc-feuillet. SG : MS1946. Mint sans charnière. Voir Scan. Number SG: MS1946. Type Miniature Sheet. Year of Issue 1982. Condition: Mint Never Hinged. No Exclusions. You think price is not right?. Date of issue: 19 March 1982. 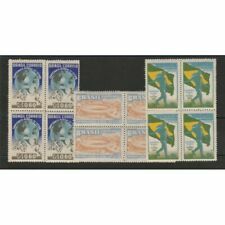 (Brazil 2018 Free of Foot & Mouth Disease - Mint Never Hinged (MNH). You will be back for more! 3) Select each item and 'Add to Basket'. BRÉSIL 20. Brésil pour la 1ère fois. Sur le dernier match. Suède 5x2 et Pelé, le plus jeune joueur, âgé de 17 ans à peine, ont inscrit l'un de ses plus beaux buts. Très intéressant et difficile à trouver. Stanley Gibbons No. : MS2213. Scott No. : 2042. Date of issue: 03 March 1986. You think price is not right?. -:- The item you receive may not be the item scanned, but will be of similar quality. 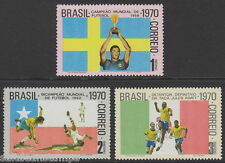 Coupe Du Monde de Football Miniature Feuille Sg:Ms1501. Allemagne de l’Ouest Football Coupe du monde bloc-feuillet. SG : MS1501. Voir Scan. Number SG: MS1501. Year of Issue 1974. Type Miniature Sheet. 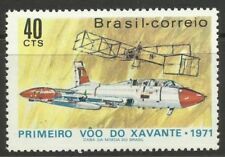 Brésil, Scott Chat 2146-2149. Brésil, chat de Scott. Topic Soccer. LAISSEZ NOUS SAVOIR! Più conveniente altrove?. FACCI SAPERE! Brésil. 1982. Coupe Du Monde de Football Ensemble Sg:1943 / 45. Coupe Du Monde de Football Ensemble Sg:1943 / 45. world Cup Football ensemble SG : 1943/45. Mint sans charnière. Voir Numérisation. Number SG: 1943/45. Year of Issue 1982. Topic Football. 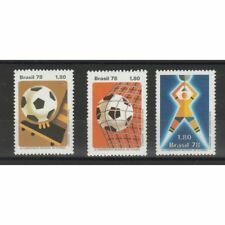 Timbres-Amérique du Sud, le Brésil et Thématiques-Sport-Football. Stanley Gibbons No. : MS2175. Scott No. : 2008. No Exclusions. Date of issue: 23 June 1985. Brésil < span class = « notranslate » >- ANNÉE 1950. NOUS COMBINONS L’EXPÉDITION. NOUS EXPÉDIONS COMBINÉE. EAN 7927501751077. 5,00 EUR prix catalogue, selon Michel Südamerika 2010. Brésil. 1985. Coupe Du Monde de Football Miniature Feuille Sg : Ms2175. Coupe Du Monde de Football Miniature Feuille Sg : Ms2175. SG : MS2175. Mint sans charnière. Voir Scan. Number SG: MS2175. Type Miniature Sheet. Topic Football. Year of Issue 1985. 8,00 EUR prix catalogue, selon Michel Südamerika 20. 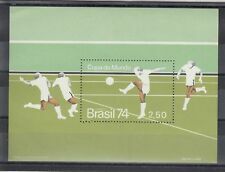 1978 BRÉSIL MONDE FOOTBALL ARGENTINE 3 VAL MNH MF57985. 3 valeurs < span class = « notranslate » > MNH. Brésil < span class = « notranslate » >- année 1978. L’ARGENTINE COUPE DU MONDE 78. 7,50 EUR prix catalogue, selon Michel Südamerika 2010. Football Clubs - Vasco de Gama Regatas Club. les Clubs de football - Club de Regatas Vasco de Gama. portant le SG : 2408. Voir Scan. Topic Football. Year of Issue 1990. 6,50 EUR prix catalogue, selon Michel Südamerika 20. 7,00 EUR prix catalogue, selon Michel Südamerika 20.